Scottsdale, Paradise Valley, Fountain Hills, Carefree, Cave Creek, and Phoenix. 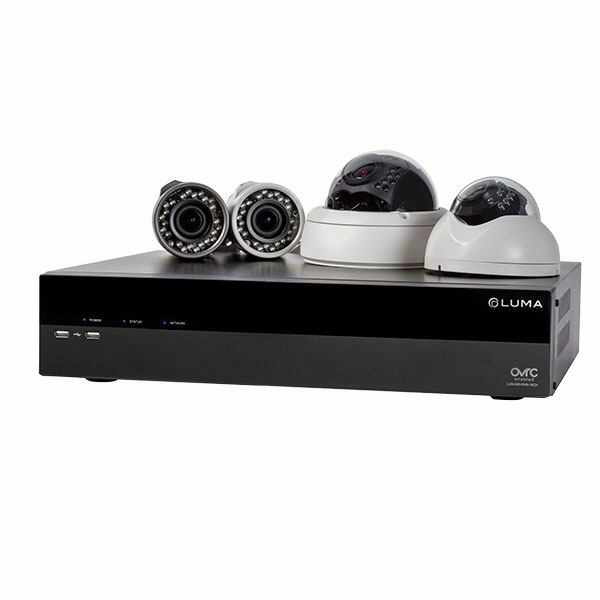 Luma / Wirepath Surveillance wanted to: Deliver bullet-proof products with the latest technologies like Sense-Up, WDR and H.264, Create easy-to-specify solutions that remove system complexity and Provide best-in-class Apps for remote viewing. With an initial offering of 8 cameras, 4 DVRs and 3 smart phone apps (iPhone & iPad - Android) – they are confident this lineup will meet the requirements of your project. January 2019 - Intercom Anywhere - When your mobile device is part of the intercom experience, you’ll always know who’s at the door. From wherever you are—from the backyard to the backlands—quickly tap a custom button within the app, such as “Delivery”, to disarm the alarm, turn on the light, and unlock the door. Once that important package is placed safely inside, another tap secures the house once again. October 2017 - Streaming music services are an important part of any multi-room audio system. With OS 2.10, Control4 customers now have access to three new native streaming services including Spotify, SiriusXM and iHeartRadio. Homeowners have always wanted the ability to tweak and fine-tune their own system without calling dealers for help. It’s been at the top of requests from you and your customers for a very long time. With When >> Then, customers interested in making adjustments to their home automation now have the capability to do so. January 2016 - Control4 releases the NEW EA Series entertainment and automation controllers, the next-generation platform for smart home innovation, featuring high-resolution audio, high-performance automation and industry-leading interoperability. Click here for more information. July 2015 - THE ONE-DEVICE CHALLENGE How much can a homeowner control with a single automation device? Take a look at this article for an in depth look at Control4's powerful HC-250 Home Controller. Click here for the article. This article also resides on our Support page. October 2014 - SONOS introduces the new Boost. Tiny accessory. Big wireless performance. Delivers wireless perfection to the most remote room in the house. Flawless reliability for homes with wireless connectivity problems. Click here for more information. December 2013 - Randazzo's Home Systems, LLC has been selected for the 2013 Best of Scottsdale Award in the Home Electronics & Service category by the Scottsdale Award Program. October 2013 - Randazzo's Home Systems is now a DirecTV dealer. Give us a call today. Don't just watch TV, DirecTV! August 2013 - Randazzo's Home Systems goes live with redesigned website. After many ideas, thoughts and discussion of a redesign we finally pulled the trigger and made it happen. We are finally iOS compatable since we removed and do not use any flash on our new website. Take a look and let us know what you think. July 2013 - Randazzo's Home Systems is now an authorized dealer for NEST Thermostats. To learn more about NEST Thermostats give us a call today.